DWI License Suspension – In North Carolina, a DWI charge is a serious matter that has some very serious consequences. One of those consequences involve DWI license suspensions. There are a wide variety of these suspensions depending on the many factors involving a DWI charge in North Carolina. In this blog, we will talk about some of them and give a little bit of detail of what to expect. Like all of our blogs, this blog is intended for informational purposes only and would be a very poor substitute for the advice and counsel of a DWI attorney. In North Carolina, when you are initially arrested for, and charged with DWI your license is suspended through a civil revocation. Typically, your driver’s license is physically taken away from you at the scene and placed in a file at the appropriate courthouse. This suspension lasts 30 days and requires the payment of a court fee to reinstate it after that 30-day period has ended. If someone is charged with DWI, they are typically taken to a police station and some blood alcohol tests are performed. At that point, if that person refuses to submit to a breathalyzer, their license is suspended by the Department of Motor Vehicles for one year. There are two important things to keep in mind; 1. This is only for a refusal at the station, not for a refusal in the field prior to being charged, 2. This suspension remains in effect regardless of the outcome of your DWI case. 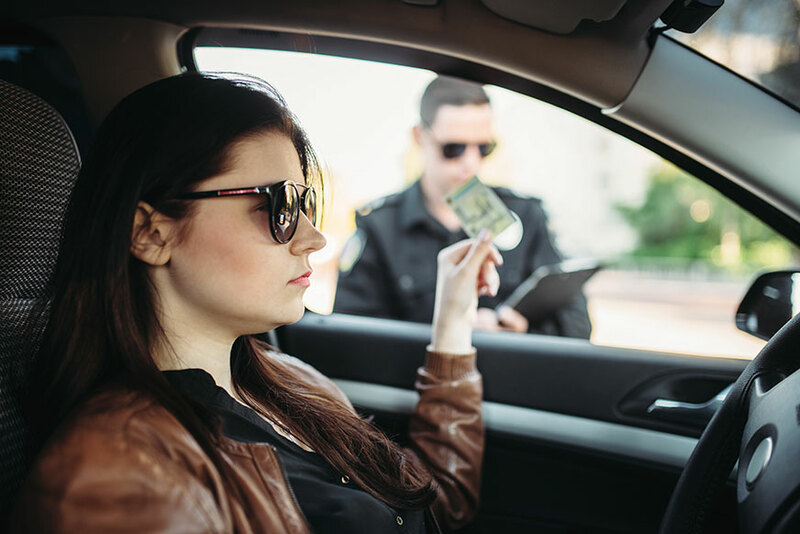 In fact, if you are later found guilty of DWI you will have to serve a suspension for that conviction, in ADDITTION to the suspension for the refusal. You may become eligible for a limited driving privilege after a period of six months. If you are found guilty or plead guilty to DWI, in addition to other penalties according to the North Carolina DWI sentencing guidelines, you also face a 1-year suspension of your driver’s license. In North Carolina, upon conviction of second DWI, the defendant faces a 4-year driver’s license suspension. It is important note that a second DWI conviction within a 7-year span is considered an aggravating factor under the DWI sentencing guidelines. In North Carolina, upon conviction of a third or subsequent DWI, the defendant faces a permanent revocation of their driver’s license. They also face some other very serious consequences associated with that conviction. After the period of suspension is over and the convicted person must follow DMV procedures in order to reinstate their license. In the meantime, some people may have the option of a limited driving privilege. With of all the above-mentioned consequences, it is easy to see why defending your DWI is very important. It is also important to seek professional help. If you have been charged with DWI, contact us.